Short stories were my first love! I love reading them and I love writing them too, particularly those with a twist-in-the-tail. My stories have been published in women’s magazines around the world and have also been included in a number of short story anthologies. 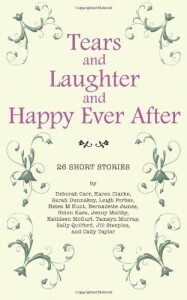 Twelve fun and flirty feel-good short stories that will leave you with a smile on your face. If you enjoy romantic comedies, a bit of light-hearted relief, then this is the perfect book to dip into. Find out what happens when James Bond turns up unexpectedly on the doorstep. And why is there a good-looking angel sitting at Sally’s kitchen table eating his Honey Nut Haloes? A delightful selection of short sweet tales that are the perfect accompaniment to your afternoon cuppa! Here is an extract from my short story collection. A wonderful selection of short stories from some of the UK’s most popular magazine writers. There are even a couple of mine in there, but don’t let that put you off! 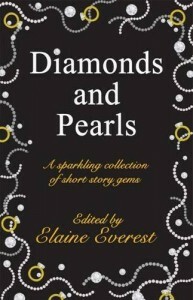 A sparkling collection of stories from some of the UK’s best known women’s magazine writers. All profits go to a breast cancer charity.